Book your romantic package breaks in Windermere with our Windermere Boutique Spa Suites. Where you can enjoy a luxury break in the Lake District, surrounded by the wonderful Cumbrian countryside. Joining the crew onboard the Windermere Lake Cruises is always going to be a memorable experience. Although imagine sitting back with a loved one by your side, as you take in the beautiful scenery of Cumbria. Likewise, when you visit the Lake District, there’s nothing better than embracing your surroundings. So how about taking your partner for a romantic walk, you never know, you may even find the perfect spot for a marriage proposal! Taking place across the 23rd and 24th February, it could be the perfect place to celebrate that Lake District engagement. Book your spa break in the Lake District before Valentine’s Day and you could soon have not one, but two romantic breaks in the Lake District. How about re-living your childhood memories with a trip to the World of Beatrix Potter. 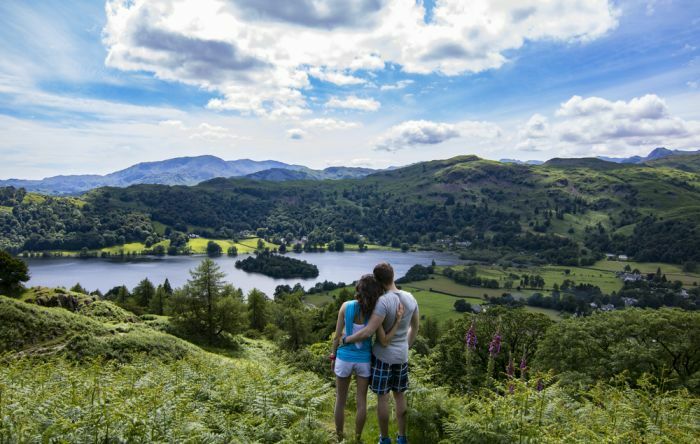 It may not be the obvious thing to do while on a romantic package break in Windermere, but it could be a personal one. Maybe, like Beatrix Potter herself, you spent family holidays in Windermere. Maybe you became childhood sweethearts and have been together ever since! If you’re a more traditional romantic, then a picnic in Windermere followed by a dip in a hot tub could be the perfect end to the day. After all, there are picnic spots all over the Lake District, from the secluded to the popular. Wherever you settle down for a picnic, you’ll be spoilt for choice. Another reason why booking your loved one a romantic break in Windermere will soon be a beautiful gesture is down to the accommodation. As to where to stay, choose between 3 spa suites at the Windermere Boutique Spa Suites. Make the most of our package breaks in Windermere any day of the week. There are weekend spa break packages, where you can embrace a couple full body massage. Even our mid-week pamper break packages come with a 30-minute couples massage. Stay at one of our Windermere Boutique Spa Suites in Windermere, all complete with a private hot tub. As well as full access to the facilities at Aphrodites Lodge, you can also enjoy a wide selection of Windermere Beauty Treatments. What better way to round off any romantic package breaks in Windermere than pampering your loved one?